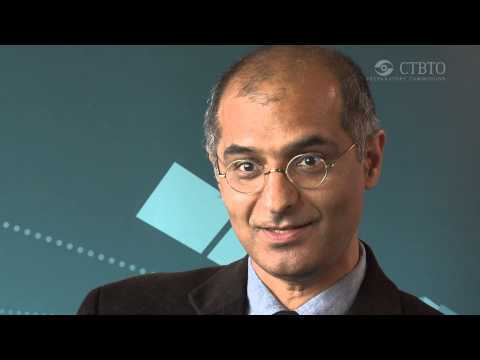 Dr. Zia Mian, who will be traveling to Oregon in April to accept the 2014 Linus Pauling Legacy Award, was kind enough to give us a bit of his time not long ago for an interview. In it he discussed a whole range of topics including the development of his socio-political consciousness, his admiration for Pauling and his thoughts on healing old wounds in South Asia. The transcript of our conversation is presented below. For a more technical perspective on Mian’s thinking with particular respect to the Comprehensive Test Ban Treaty, see the embedded video above. 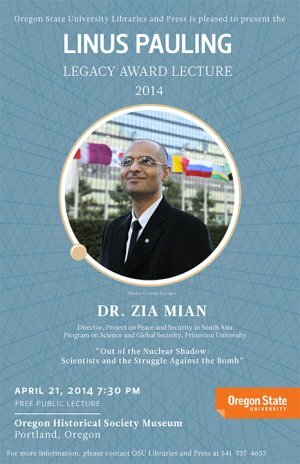 An excellent profile of Mian, published by his home institution, Princeton University, is likewise available here. 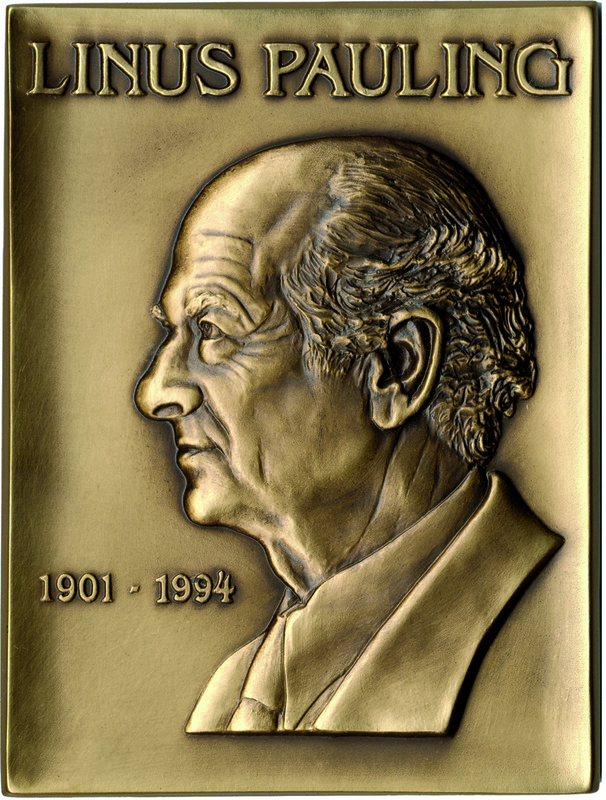 Pauling Blog: You studied physics in graduate school. Were you already interested in socio-political issues? Or did you experience an awakening of sorts, as happened to Pauling with Hiroshima and Nagasaki? And so as a young physics student it became obvious that nuclear weapons were something that I had to think about and to try and understand what I thought about them and what they might mean. And so as a consequence I think that it wasn’t so much like a calling of having a Hiroshima or Nagasaki type moment, but the existence of a large and determined peace movement raising the issue to people across the world, that this is an issue you have to take seriously and come to a position on. That led me to think about what nuclear weapons meant and how I felt about them. 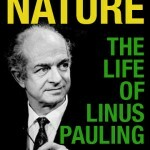 PB: With Pauling and several other scientists at the beginning of the nuclear age, they could understand the science behind nuclear weapons as well, and that seemed to lend itself toward their activism, in the sense that they could understand how they worked and the amounts of energy they could release. Did that play in for you as well? 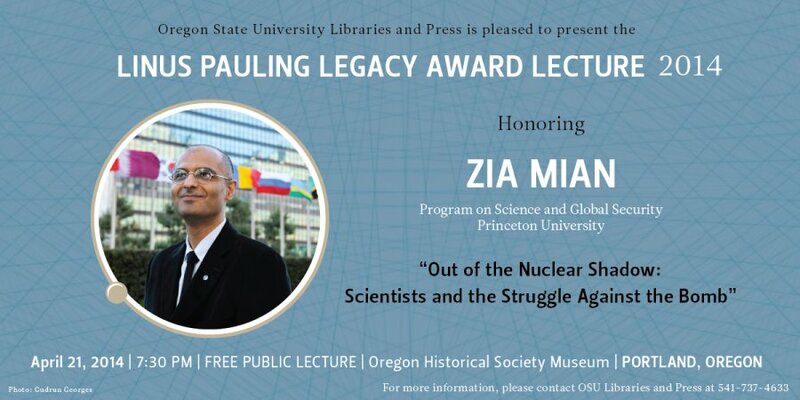 ZM: At the beginning of the nuclear age certainly many scientists, including ones who had worked on the Manhattan Project, realized that the public and policy makers needed to understand the new dangers that nuclear weapons and nuclear materials posed to the world. And having a technical background made it easier to understand some of the things that nuclear weapons mean, without having to know secrets. Because the science was sufficiently clear that you could make this understanding of what was going on. What you have to remember is that lots of other people came to a similar understanding about nuclear dangers without being scientists. One thinks of Mahatma Gandhi writing about the danger of nuclear weapons soon after Hiroshima and Nagasaki, or the French writer and philosopher Albert Camus or the English writer George Orwell or the American writer Lewis Mumford. All of them, within months or the first year or so after Hiroshima, tried to explain to people that these nuclear weapons posed a profound and unimaginable new danger, without being scientists themselves. But the scientists—being experts gives you a somewhat privileged position to debate, because people have a tendency to look to scientists as being people who can understand and explain some of the more detailed factual and technical basis of what nuclear weapons and their production and use mean, rather than just talking about the politics of what nuclear weapons mean or the ethics and morality of what nuclear weapons mean. But I can’t emphasize strongly enough that many of the early scientists like Pauling and others, as well as writers like Mumford and Bertrand Russell and Albert Camus and George Orwell who wrote about nuclear weapons, combined both a technical understanding and a political understanding and a moral and ethical sensibility about what these weapons would mean. And it was only by taking them all together that one can see what kind of intervention they made in helping people understand the nuclear danger.